One of the best parts of owning a Jeep is being able to cruise with the top down, but that can make it difficult to hear your music through the factory sound system. Instead of picking between enjoying the sun or your tunes, get the best of both worlds with the Marine Grade (IP55 Rated) Alpine SPV-65X-WRA Component 2 Way Speaker System, which is tuned for your JK to maximize sound output and bass response. 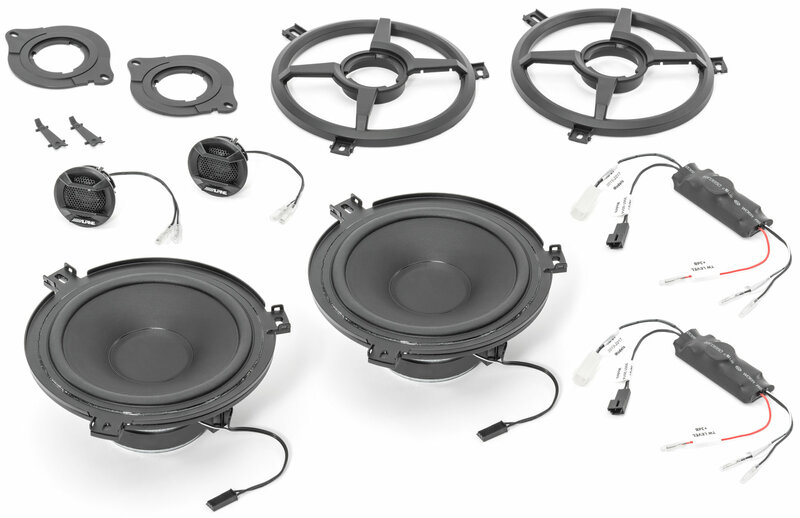 These easy to install replacement speakers offer premium performance in one convenient package. The SPV-65X-WRA feature a 6.5” woofer, and a 1” tweeter, and can be mounted in either the dash or sound bar locations. With the included adapters, the 1” tweeters can be installed in the early JK Wrangler tombstone style mounts, the late model JK dash top flush mounts. 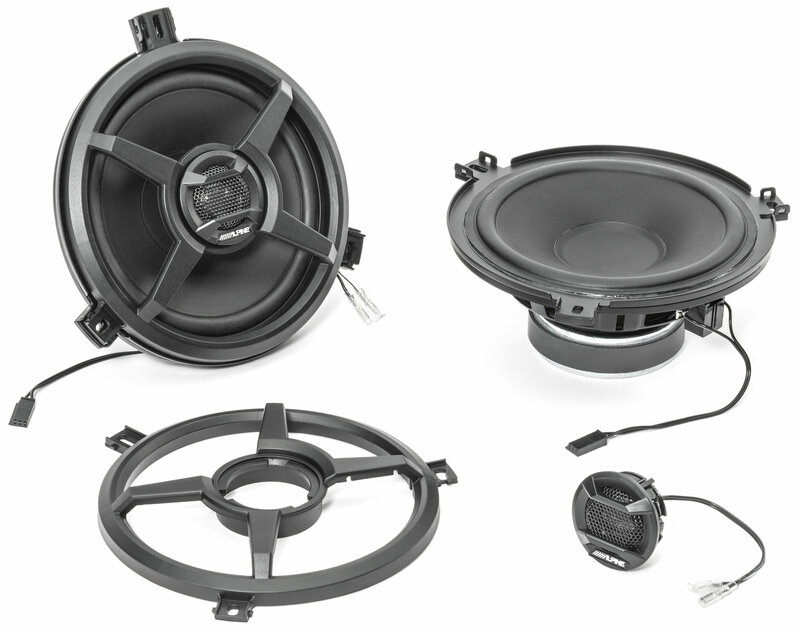 Alpine also includes coaxial crossovers that allow the tweeters to be mounted in the center of the speaker grille and used in the early style sound bars. Wiring and grille are not needed for 2015 newer Wranglers. Installation is completely plug-n-play, and no modification is required. Convertible Design: Unlike most replacement speakers on the market, Alpine’s SPV-65X-WRA Component 2 Way Speaker System includes both tweeters and woofers that will fit in the soundbar or dash. The included plug-n-play wiring, speaker grilles, and tweeter adapter plates make install a breeze. No cutting, splicing, or modification to your Jeep are needed for install. Jeep Specific Speakers: Alpine engineered the SPV-65X-WRA to be compatible with all JK Wranglers. They can be installed in any two or four door 2007 to 2018 Wrangler JK, regardless of trim level or sound package. Size: 1" Tweeter, 6 1/2"